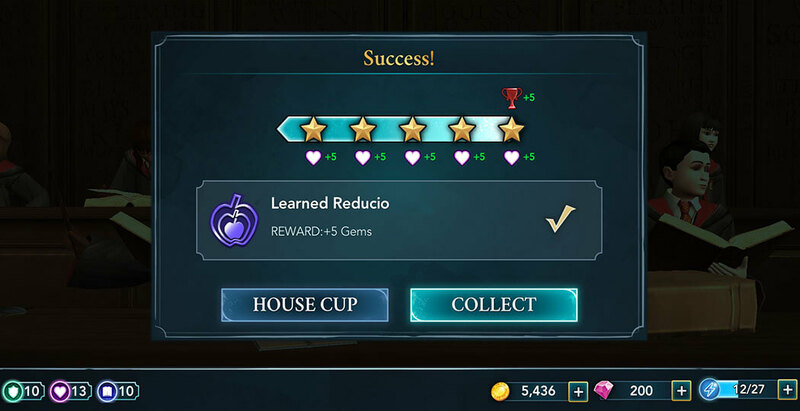 Following Professor Flitwick's first lesson where you learned to cast the Engorgement Charm, in chapter two you will learn its opposite, the Reduction Charm, Reducio. As you can assume, this charm allows the caster to reduce the size of the target, internally as well as externally. 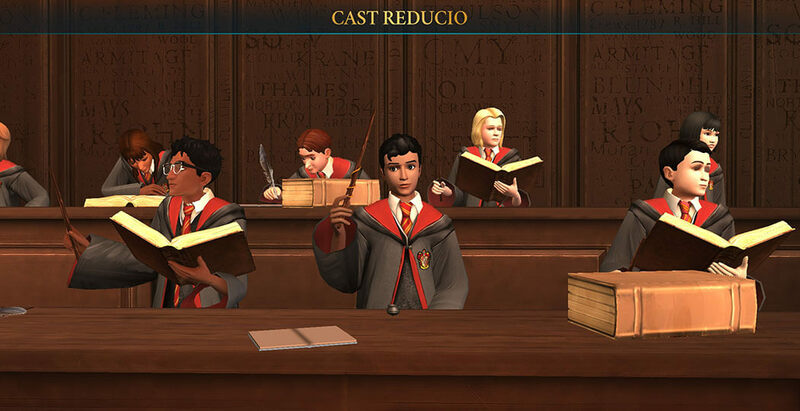 One can even toy with an object by casting Reducio and Engorgio over and over again. However, the use of these spells on humans is considered very dangerous as the effects are not always predictable. 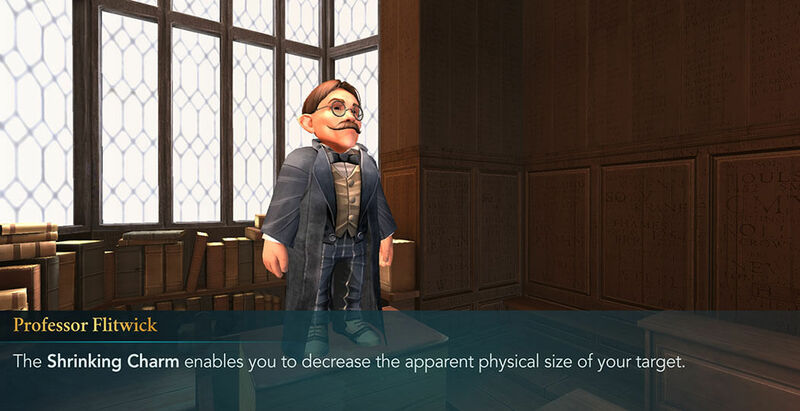 Professor Flitwick even warns all of the students about this before teaching them the lesson. Not much is known about the charms origin or history. We don’t even know who invented it or why. We can only assume someone had trouble packing too much luggage into a suitcase and got creative. The Shrinking Charm was used a few times in the movie franchise as well. 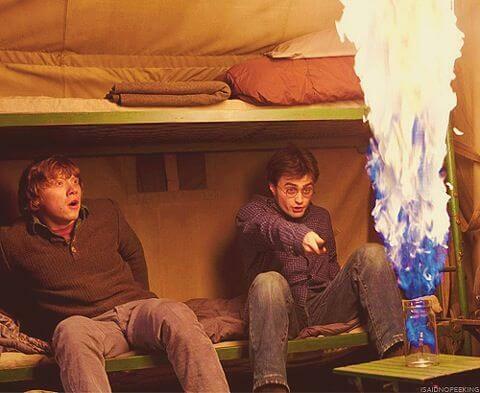 None of them were significant events, for instance Harry used it to reduce the size of the fire he had previously enlarged. Madam Pomfrey used it as well to shrink Hermione’s teeth down to normal size because Draco Malfoy hexed her. 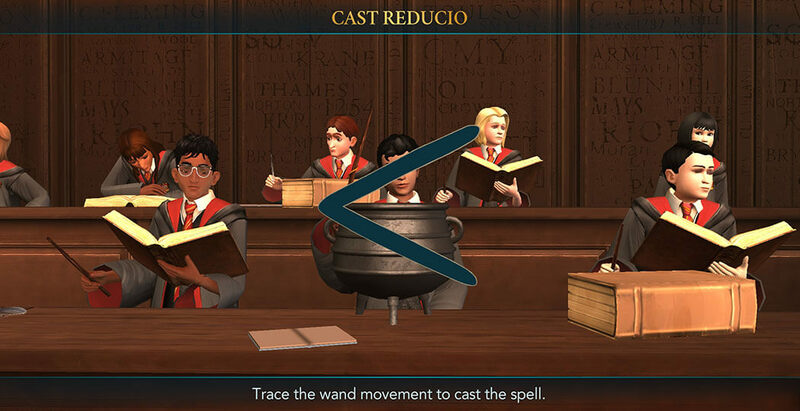 As you can see, the uses for this spell can be both practical and comical. It can definitely come in handy throughout a wizard or witch’s career. Now it’s time to learn everything you can about the charm before attempting to cast it. Make sure you come to class prepared. This means having enough energy and time to properly see this lesson through. 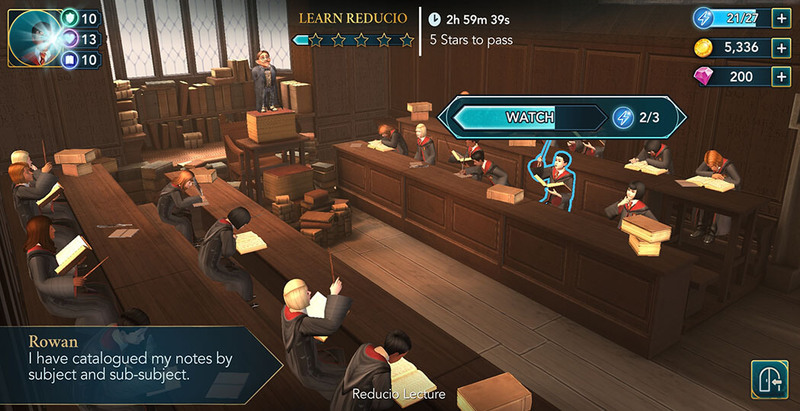 Go about you activities as you normally would; click on the glowing objects to take notes, listen to the professor or observe his movement. Do this until you fill the star meter and you will advance to the next step. The next part consists of learning the wand movement for Reducio. If you remember the movement for the Engorgement Charm, you will notice this one is the exact opposite of that. Simply trace your finger across the line and presto! The charm will be cast on the cauldron in front of you, causing it to shrink. With this, you will have completed your lesson and learned the Shrinking Charm, Reducio. Although it can be a fun spell to use, be wary. It is not entirely harmless, as casting it on a human being can be quite dangerous. Not that you will heed this warning anyway. You and Rowan come up with a plan that requires the use of both the Shrinking and the Engorgement Charms to pursue your investigation of the Cursed Vaults. The reward for the Reduction Charm is the standard 5 gems. Collect them and get back to your adventures at Hogwarts.